These are some of the news stories and articles that anyone involved in real estate whether as a vocation, as a buyer or as a seller will hopefully find interesting and useful! DSNews.com – The CFPB issued a final rule moving the effective date to Saturday, October 3, 2015 on Tuesday. The final rule issued Tuesday also includes technical corrections to two provisions of the Know Before You Owe mortgage disclosure rule, according to the CFPB. MBA – Mortgage applications increased 0.1 percent from one week earlier, according to data from the Mortgage Bankers Association’s (MBA) Weekly Mortgage Applications Survey for the week ending July 17, 2015. Los Angeles Times – Homeowners who didn’t refinance their mortgages when interest rates were below 4% may be out of luck for quite a while. Banks had been processing big batches of refis earlier this year when the average rate fell below 3.6%. But they’ll be writing fewer home loans now as rates above 4% choke off the refi business. REALTOR Magazine – The rise in buyer demand combined with a limited number of homes for sale pushed the national median sales price above its 2006 peak and to a record high, according to the National Association of REALTORS®. HousingWire – The national foreclosure inventory continued to drop and dipped to the lowest level since 2007, the latest First Look report from Black Knightsaid. The delinquency rate is down 3% from May and down nearly 16% from one year ago. REALTOR Magazine – Buyers using FHA loans — which are typically low down payment loans that are used by first time home buyers — made up 23 percent of all single family home and condo sales with financing in the second quarter of 2015. That’s up from 19 percent in the second quarter of 2014 and the highest share since the first quarter of 2013. US News & World Report – One of the changes brought about by the foreclosure crisis was a realization that, before granting loans, lenders need to verify that borrowers can make their monthly mortgage payments. That led to a number of changes in how mortgages are granted, including what is called the Ability to Pay Rule, which went into effect in January 2014. INC.com – Money is highly symbolic. In fact, it’s only symbolic. And its symbolism is complicated, variable, and ever-shifting. Which is a real challenge for someone in business, someone who’s hoping to please as many customers as possible. 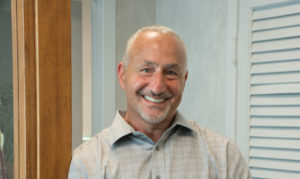 Article author Michael Haltman is the President of Hallmark Abstract Service in New York. HAS is a provider of title insurance in New York State for residential and commercial real estate transactions. If anyone would like to learn more about Hallmark Abstract Service in an entertaining whiteboard animation kind of way, click here.